During 82 seconds on Wednesday 22 March, Briton Khalid Masood drove a car into pedestrians on Westminster Bridge, killing and injuring more than 50 people; fatally stabbed an unarmed police officer in New Palace Yard; and was shot and killed by an armed police officer. Over the next fortnight, these were some of the responses. Governments please take note. Sheikh Mohammad al Hilli, of the Shia Muslim Council; Archbishop of Canterbury, Justin Welby; the Chief Rabbi, Ephraim Mirvis; the Chief Imam of the Central London Mosque, Sheikh Ezzat Khalifa; and the RC Archbishop of Westminster, Cardinal Nichols attended a vigil outside Westminster Abbey. The faith leaders held a minute’s silence to remember the four victims, and spoke of their determination not to let violence triumph. Muslim women gathered on Westminster Bridge to condemn the attack and show solidarity with the victims. Dozens of participants from a range of backgrounds joined them at the event, organised by Women’s March on London. One of the women said: “Islam totally condemns violence of any sort. This is abhorrent to us.” Others spoke of the “overwhelming” emotion they felt standing on the bridge. A group of women, wearing blue as a symbol of hope, stood holding hands for five minutes on Westminster Bridge as Big Ben chimed 4pm. The Observer published this comment on the response to the attack: “Terrorist outrages can serve as a brutal reminder of humanity’s capacity for cruelty. Yet it is so often the brave responses of ordinary citizens that we remember. In London last week, the reaction to the trail of death and brutality that Khalid Masood left in his wake proved the point: the sacrifice of PC Keith Palmer, who laid down his life keeping MPs and citizens safe; the actions of the MP Tobias Ellwood, who performed first aid; the medical staff of St Thomas’ hospital who ran on to Westminster Bridge to help the wounded; and the ordinary men and women who reacted with compassion and courage to the distress of the victims. Hundreds of people gathered on Westminster bridge and outside the Houses of Parliament, and police officers held a minute’s silence outside New Scotland Yard, to pay their respects to the four people who were killed. Hope can come from unlikely sources. Which makes me wonder… What would be the most unlikely and surprising source of all? Looking within, with a wry chuckle, I conclude that would probably be my own self! So here’s a challenge to myself: What if I were a source of increasing hope? What would that look like? How would I be? What would I do more of, or less of? What if each one of us were a source of increasing hope to everyone around us? Each of us a point of hope, a point of light in the dark. We would become a field of stars shining in the night sky, sweeping across the heavens like the Milky Way. Each point source of light is small, and twinkles as our energy ebbs and flows, as we try and fail and try again. The night is still dark. And yet… North of the equator we only need one star, the Pole Star, to know which direction we face. And we only need two stars, in the Plough, to find the Pole Star. And only seven stars to be sure that it is the Plough. And with the help of other constellations and planets we can find out where we are, what time it is, how fast we are going. Each of us can help those around us navigate in the dark. We can look to other people for their help. It might take seven. It might only take one. We might be that one to others. And they might be near at hand, or far away in parts of the world that barely scratch our consciousness. Sometimes there is a shooting star or aurora – an Anne Frank or a Jo Cox – that scorches across the heavens. It is extinguished all too quickly, but the trace remains bright in the memory. Sometimes, a moon or comet – a Mother Teresa or a Nelson Mandela – might rise and hold steady, and the whole world seems bright for a time. Each of them is – each of us can be – a promise and a hope of a shining new sunrise. 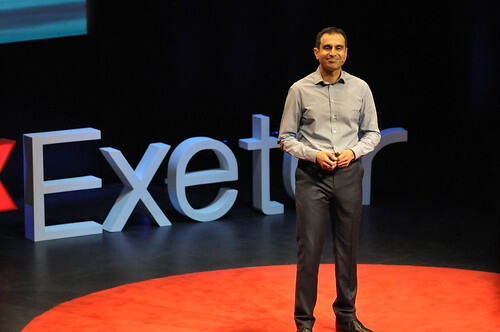 We are delighted that you are coming to join us at TEDxExeter 2017 – welcome! Here is some information to help you plan for the day. Please read through all the following details to prepare for coming on 21st April 2017. These joining instructions cover both the Exeter Northcott Theatre and the Alumni Auditorium livestream. Seats are unallocated and the theatre doors will be closed during the speaker’s talks. Therefore, please ensure that you leave plenty of time to arrive at the theatre. The programme will finish at around 5.15pm. Please bring your tickets with you on the day and we will exchange your ticket for a wristband. Your wristband should be worn throughout the day and will be printed with information about how to collect your refreshments and lunch during the breaks and give you access to the Great Hall during our breaks. For those of you who haven’t been sent tickets, you will need to collect your tickets from the box office. We will subsequently register you and give you a wristband. Registration will open at 8.30am in The Forum and the programme will start promptly at 9.10am. Seats are unallocated, and the auditorium doors will be closed during the programme to avoid disruption. Please ensure that you leave plenty of time to arrive at the venue. The programme will finish at around 5.15pm. If you have received tickets, we will exchange your ticket for a wristband as you arrive. Your wristband should be worn throughout the day and will be printed with information about how to collect your refreshments and lunch during the breaks. For those who haven’t been sent tickets, you need to collect your tickets in the morning at the temporary box office in the Forum. There is no need for you to go to the Northcott Theatre if you have a ticket for the Alumni Auditorium livestream. You will then be registered and given your wristband. We strongly recommend that you arrive at the venue by foot, bike, bus or taxi as parking on site is extremely limited. 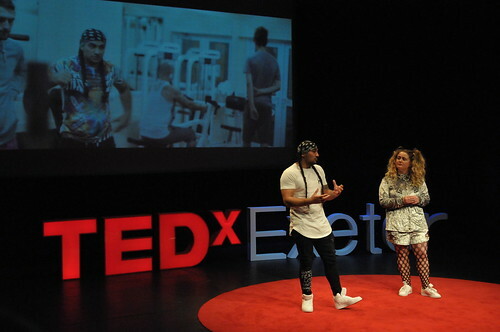 The Exeter Northcott Theatre and The Forum are situated on Stocker Road, on the Streatham Campus of the University of Exeter. Full directions to the Streatham Campus are here, including a pdf of detailed directions by car. Please ignore the information given on the Exeter Northcott Theatre website, as it applies to evening events only. There are a few disabled parking spaces near the Theatre. If you require disabled parking, please contact us. Visitor car parking on the Streatham Campus is in Car Parks A and B, which are some distance from the venues. Visitors must have a valid pay and display ticket or a daily parking permit provided by the University. There are ticket machines in the car parks. Please assume that you will need to leave plenty of time for parking and walking to the venue. A map of the campus shows the location of bus stops, which are much closer than the car parks. Refreshments will be provided in Great Hall and adjoining Terrace Restaurant during morning, lunch and afternoon breaks. Both audiences from the Northcott Theatre and the Alumni Auditorium will come together during the breaks. A number will be printed on your wristband which corresponds to a refreshment station in the Great Hall and Terrace. Please collect your coffee or lunch from this point. Maps will be provided on the day and our volunteers will be delighted to help you. Our menu is vegetarian. If you require a gluten free or vegan lunch then please ask a volunteer. There will be no refreshments provided during registration, but coffee should be available on the piazza outside the Northcott, in the Northcott bar, or in the Forum and INTO Building nearby. Lunch and other refreshments will be provided in the Great Hall and Terrace along with our sponsor stands, speaker area, experiences and bookshop. Please say hello to our sponsors, who have done so much to support the event. 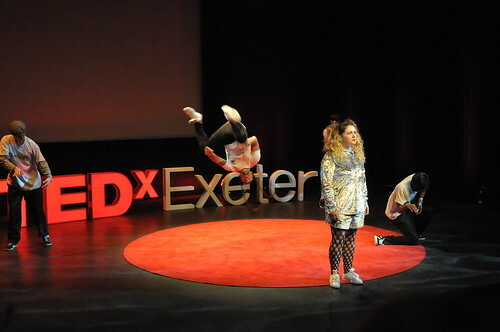 There will also be a number of NGO, activist stands and TEDxExeter experiences, which we hope you will support and enjoy. We ask that those attending the event in the Northcott Theatre don’t use any technology or devices during the talks. 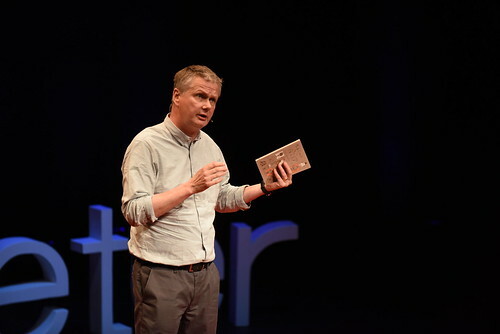 The use of devices can be distracting for the speakers and performers, interfere with filming of the talks, and be very disturbing for other delegates sitting near you. Please ensure that all your devices are turned off when you are in the theatre. Please do tweet and share your experiences of the day. We will have a live Tweet desk in the Great Hall during breaks and lunchtime. 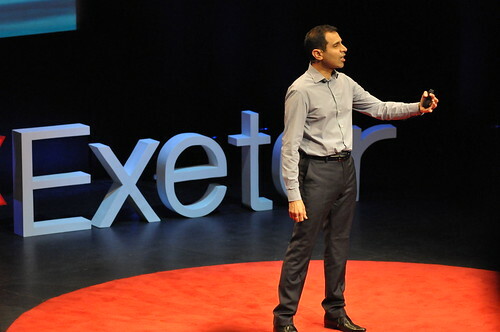 Please follow @TEDxExeter and tweet about the event using #TEDxExeter. We are also on Facebook. All the talks from the day will be made available online at the end of May 2017; we’ll let you know the via our mailings. 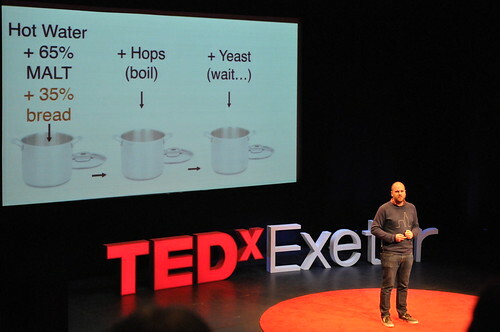 Kester Brewin will be speaking at our forthcoming TEDxExeter event in April. 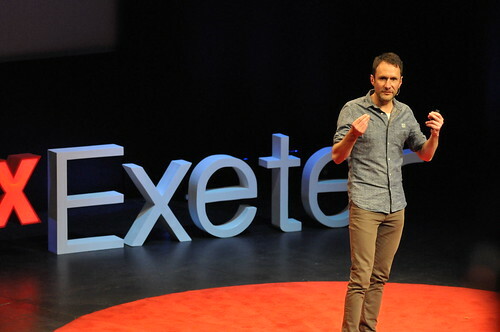 He is an alumnus of TEDxExeter 2013, where he spoke brilliantly about “Mutiny!”. A couple of weeks ago I was having dinner with an aunt, who happens also to be one of the wisest people I know. We were chewing over some thing I’d raised, and she placed her wine glass on the table, and pondered for a moment and said, “you know, it gave me great solace when I was finally able to admit to myself that I don’t live in my first-choice world.” Things don’t always work out. Life is not always what we have wanted it to be. There are disappointments and wounds. 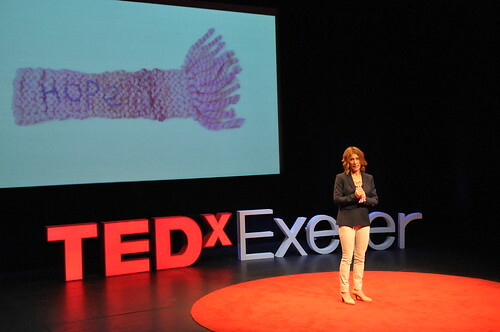 With TEDx looming I have been thinking a lot about our theme, hope, and wondering if it is simply this: that even though we do not live in our first-choice world, we hold on to the idea that our world can still be changed. We can still be changed. Our politics can still be changed. Our community, our nation, our climate. Hope is, by definition, about the future. It is a belief that the world that is yet to come is not yet decided, and can still yet be moulded. To put it mathematically (a professional habit – apologies) hope is a vector: it has to have direction. When we hope, we look ahead along a particular line. The question that this prompts is what engine is driving that hope. What force is making that change we want to see in the world? For many years my hope was located in my religious beliefs. 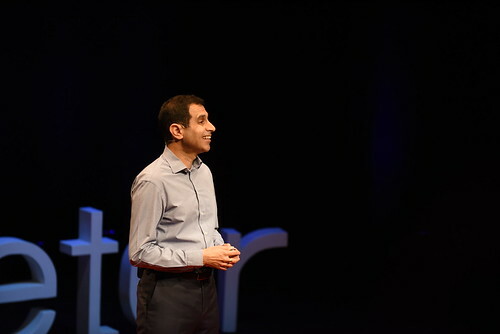 In any given situation, my hope was that God would sort it out, and it took me a long time to realise that this was because I was afraid of taking action myself. By pushing hope into the ineffable, I was able to abdicate responsibility for the world that I lived in. If it was imperfect it wasn’t my fault; if it wasn’t made better it wasn’t God’s will. In any case, my final hope was in heaven, a cast-iron ‘first-choice’ world that I would topple into once I’d fallen into my grave. Job done. Amusing as this religious hope might seem, it’s far more common than we might think. Putting your hope in a ‘big other’ – in some big system above us that we trust is in control and will sort everything out in the end – is how many people live out their politics. We don’t need to act in our communities, because the government will do it for us. Others have a similarly religious view of technology: their hope located in the divine intelligence of Google or Bill Gates to deal with disease and poverty and unemployment. Climate crisis? Haven’t we got an app for that? The maxim attributed to Gandhi – “be the change you want to see in the world” – is really about the adjusting the vectors of your hope. 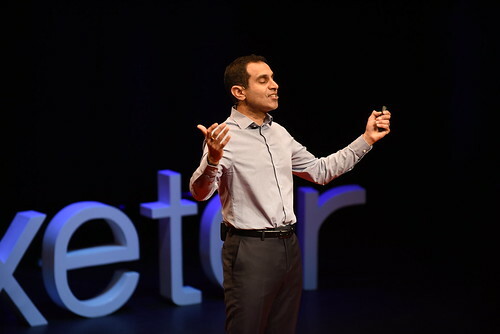 Once we see that the ‘big other’ largely has other ideas about what the world should look like, we have to redirect our hope away from the vertical – God, the political class, ‘high’ technology’ – and to the horizontal. 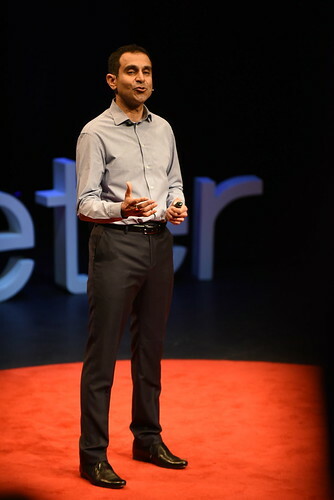 Still confident that our world can be transformed, we get off our knees and backsides and commit to working with others to do something about it. Because sometimes hope can come from unlikely sources. Even a Republican House of Representatives with a majority of 44, which defeated the American Health Care Act and preserved Barack Obama’s healthcare reform for a while longer. Nujeen Mustafa has cerebral palsy and cannot walk. This did not stop her braving inconceivable odds to travel in her wheelchair from Syria in search of a new life. Sharing her story, Nujeen recounts the details of her childhood and disability, as well as her harrowing journey across the Mediterranean to Greece and finally to Germany to seek an education and the medical treatment she needs. Trapped in a fifth floor apartment in Aleppo and unable to go to school, she taught herself to speak English by watching US television. As civil war broke out around them, Nujeen and her family fled first to her native Kobane, then Turkey before they joined thousands of displaced persons in a journey to Europe and asylum. She wanted to come to Europe, she said, to become an astronaut, to meet the Queen and to learn how to walk. In her strong, positive voice, Nujeen tells the story of what it is really like to be a refugee, to have grown up in a dictatorship only for your life to be blighted by war; to have left a beloved homeland to become dependent on others. It is the story of our times told through the incredible bravery of one remarkable girl determined to keep smiling. Nujeen’s story has already touched millions and in this book written with Christina Lamb, she helps to put a human face on an ongoing global emergency. Nujeen Mustafa is now 18 years old and living in Cologne with her brother and sister. James Craig is a second year student at Exeter College studying Maths, Chemistry and History. Having originally aspired to be a Doctor, a work experience placement at a Solicitor’s firm set him on a different path. Being interested in law and politics now for several years, he has applied to study Law at university after completion of his A-levels. 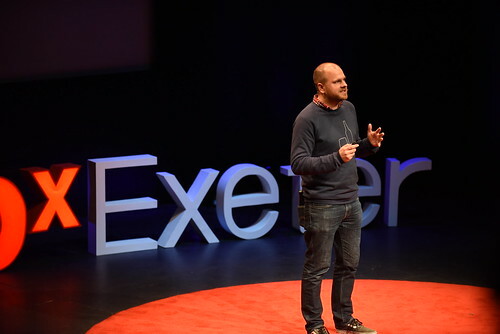 He’s previously been Chair of his schools council, tutor rep and is currently the Diversity Officer of Exeter College’s Student Representative Committee. 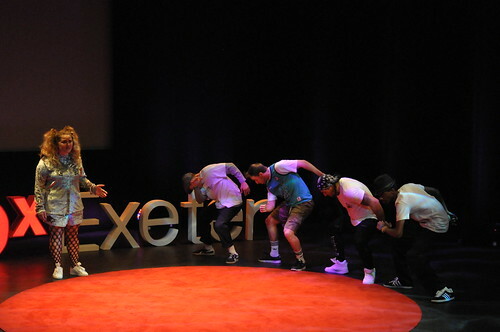 James believes in the power of communication and is thrilled to have been given the opportunity to talk at TEDx. Rob has been involved with Toast Ale since its inception in early 2016, initially as an advisor and more recently as full time Chief Toaster. Toast Ale believe that if want to change the world, you have to throw a better party than those destroying it. 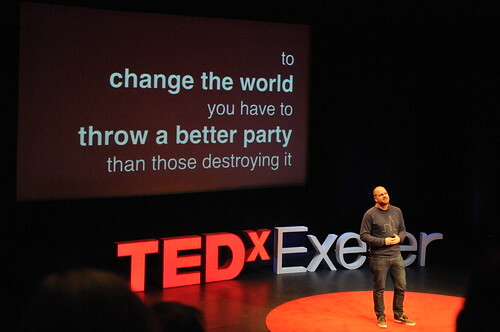 Prior to Toast, Rob led an organization called Ashoka in the UK, supporting a global network of social entrepreneurs to scale system changing ideas and enterprises. 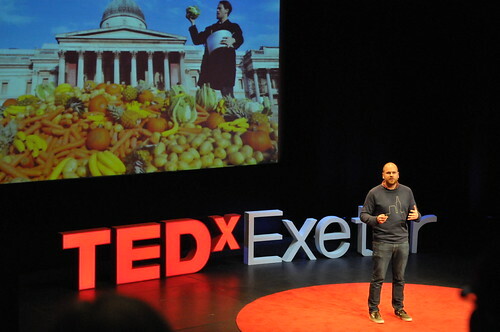 Rob is an award winning serial social entrepreneur himself having founded a number of ventures over the years. 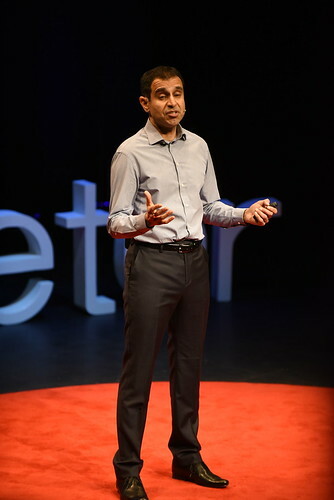 He founded READ International in 2004; a Tanzanian student-volunteer-led development organisation which to date has provided over 1.5 million books to school children and created 100 school libraries. 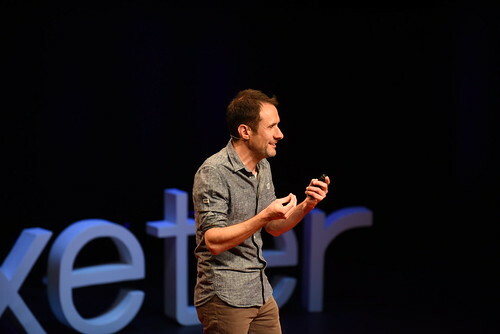 He co-founded Generation Change in 2012, a partnership of the UK’s leading youth social action organisations, helping 600,000 young people a year take positive action in their local communities. 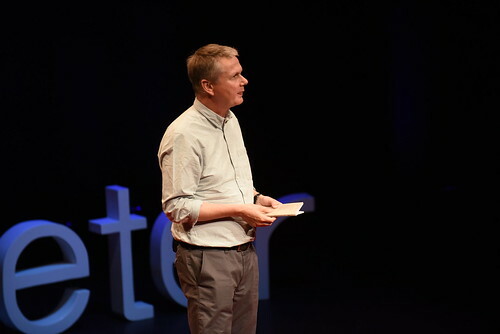 He also recently co-founded the youth-led campaign Undivided; a non-partisan campaign set up to get the best possible Brexit deal for young people. In 2011 he co-authored a book with his wife Nikki about social entrepreneurs in Africa called On the Up. Rob lives just outside London in Kent with his wife Nikki and their two very cheeky little boys Thomas and Matthew. Madhumita is a journalist, editor and speaker with expertise in the fields of science, health and technology. As the European Technology Correspondent at the Financial Times, she is passionate about how technology and science have disrupted and transformed all aspects of our lives. She was previously head of technology at the Telegraph, where she oversaw the publication’s tech coverage and has written award-winning longform features on data privacy, gene editing and other major tech trends for publications such as Wired, Newsweek and the BBC. 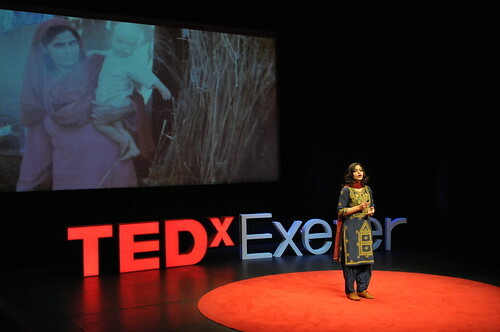 Before journalism, Madhumita worked on an HIV vaccine at Oxford University.